Libya held on Saturday municipal elections in nine areas where turnout in the country’s first voting for five years reached only about 38%. 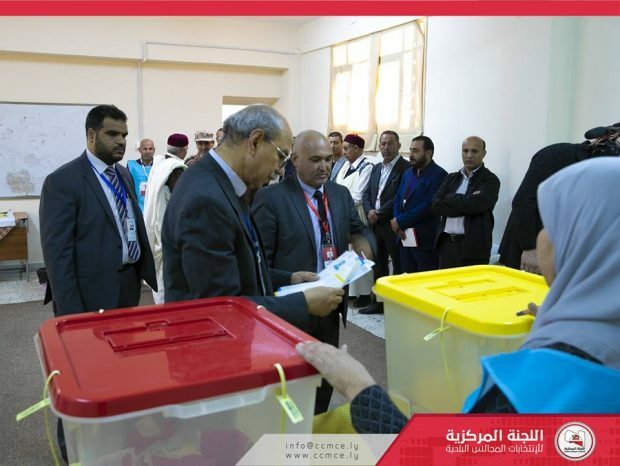 Only nine out of 69 municipal councils in southern and western Libya voted on Saturday, a municipal officials said. No violence or sabotage was reported. “The total percentage of voters of Saturday is less than 40 percent. This is considered the beginning, or the first round of elections today.” Another official at the municipalities elections commission has reported. Libya created 120 municipal councils in 2013 in a bid to end 42 years of centralisation and one man rule under Moammar Gaddafi. Some councils held elections in 2014. The municipal board of each council includes seven members, which then elects a mayor. “God willing, next week there will be seven more municipalities and then every following Saturday,” said Salem Bentahia, Head of Municipal Election Committee. The United Nations is holding a national conference on April 14-16 in a bid to end the political conflict between the internationally recognised government in the capital Tripoli west of Libya and a parallel administration version in the east. The UN efforts aim to prepare the country for long-delayed national elections.